Plain Bottom 5 Tabs Discounts Apply ! Bottom, letter size, Standard white paper. 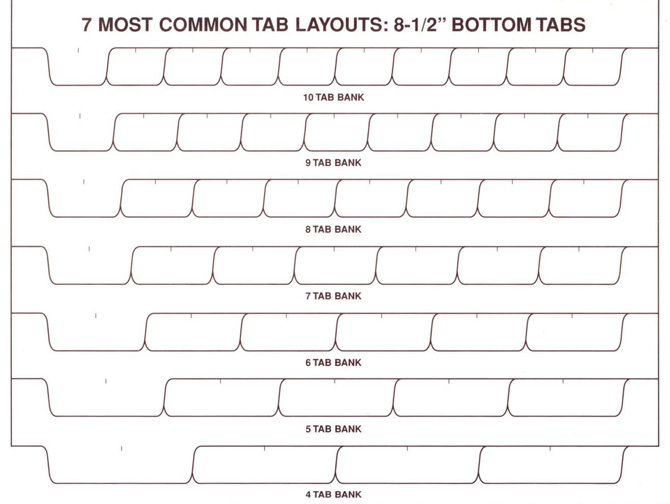 5 tabs (one of each position) per set. No coating on the tabs - paper only. This item comes 2 hole punched at the top.